Dr. Gordon Orians of the University of Washington suggests there is a link between visual stimuli, survival instinct and emotional response in his paper An Evolutionary Perspective on Aesthetics. Orians disputes the age-old belief that “Beauty is in the eye of the beholder”. He contends that our aesthetic tastes are not shaped by our unique personality or even our life experiences. Rather, a common human aesthetic has developed through centuries of evolution. Like any animal, early humans needed to avoid poisonous plants and predators, recognize a good place to live and choose healthy mates, based on their physical traits. According to Orians, some people had a natural ability to spot the ‘useful’ visual traits and react quickly; they used this aesthetic instinct to solve problems and survive. Those people passed their abilities to their children. As you might guess, those without this sense would not live to pass on their genes. Basically, Orians theorizes if something helps us survive we think it’s beautiful. Conversely, if something threatens our survival we react with disgust. First and foremost, we made our survival judgments based on visual cues. Zig-Zags & Stripes: Dangerous Omens? Anyone who has taken a basic design class has heard the instructor talk about line and movement. Apparently, diagonal lines, zig-zags and sharp angles are dynamic and exciting while horizontal lines, smooth curves and symmetry imply stillness. The question is: Why do zig-zags excite the mind and make us think of movement? One of our most primal and basic instincts is to avoid danger. Our “fight or flight” reflex occurs when we perceive a threat; it overrides any other immediate concerns and often causes us to react without rational thought. Arne Ohman of the Karolinska Institute theorizes that our fears of historical predators, like snakes, are genetically ingrained. It is much harder for us to overcome those fears that have been reinforced through evolution than to develop fear of real dangers posed in the modern world, such as fear of exposed electrical wires. Richard Coss, a professor at the University of California, explored our emotional connection to visual cues in a research paper he wrote as a graduate student. Coss proves that the fear response can be triggered by illustrations of ‘danger signs’ (snakes, spiders, heights, etc.) even if the actual danger is clearly not present. 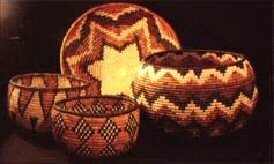 Navajo weaving designs frequently use diamonds, stripes and zig-zags. The snake is a powerful entity in Navajo culture, and the subject of many taboos. Any visual hints of snakes would draw and hold one’s attention. 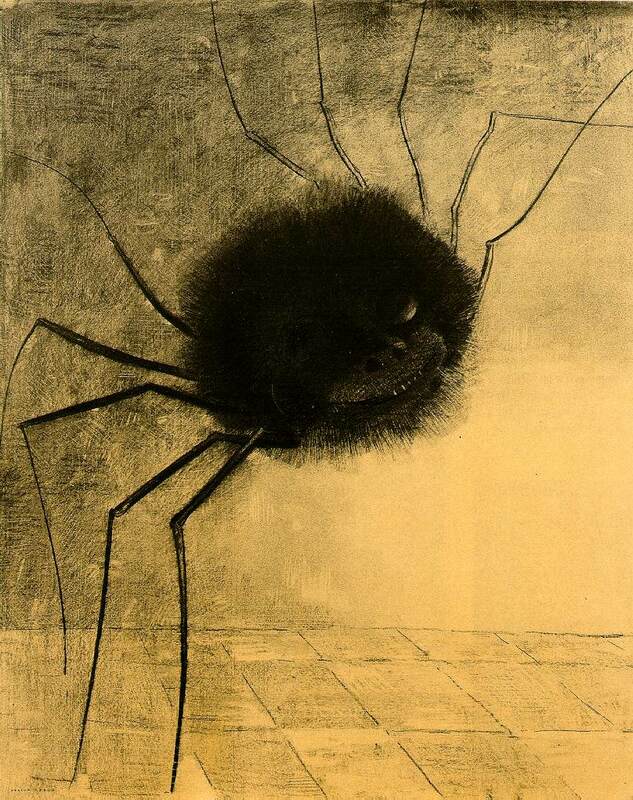 Scientific studies draw a strong correlation between visual stimuli and ‘negative’ or fearful emotional responses. We as humans cannot help but pay attention when we are reminded of predators. But do visual cues excite only our primordial fears? No. In fact, it’s doubtful humans would survive if we were driven only by negative emotions. Many studies have shown that our physical health can be adversely affected by stress and anxiety. Certain visual images have been shown to lower stress levels in human beings. 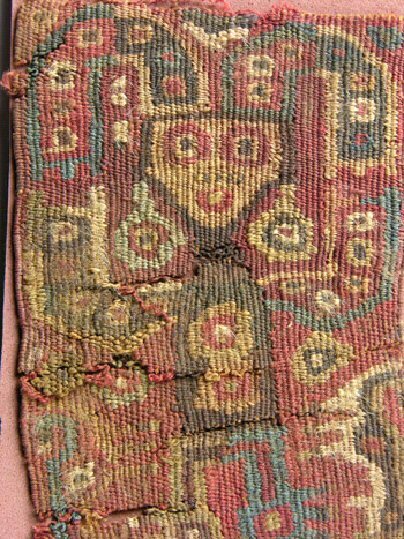 Dr. Orians would argue that when we recognize ‘positive’ or useful traits, we feel good and therefore think those images are beautiful. 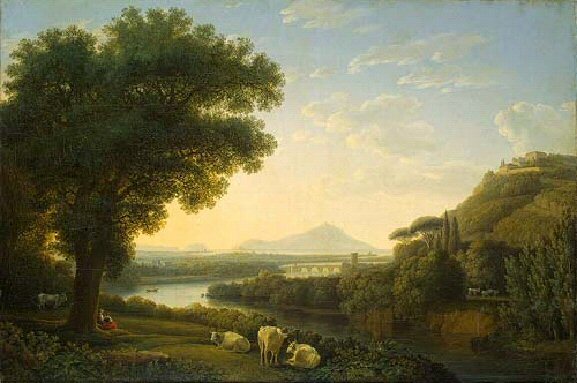 Landscapes seem to have a universal appeal, particularly scenes that depict hospitable environments. A study by Dr. Orians and Dr. Judith Heerwagen identified specific visual cues in landscape paintings (including water, large trees, changes in elevation, semi-open spaces, distant views to the horizon, and moderate degrees of complexity) that appeal to a vast majority of people, across cultures. Orians and Heerwagen argue that our ancestors were able to survive by finding these features in their own environment to set up shelter and agriculture. Therefore the sight of them has been programmed in us to elicit a “positive” response. This composition by Jacob Philipp Hackert displays many of the visual attributes described by Orians and Heerwagen as ‘universally appealing’. Hackert was prolific and indeed very successful during his artistic career. His paintings appealed to a wide variety of people, including King Ferdinand IV. Flowers are widely accepted as being beautiful, making them one of the most commonly used themes in decorative prints, fabric, paintings and home décor. According to Professor Orians, a flower’s appearance has evolved to attract insects, not humans. So why are we so attracted to them? It turns out they played a role in our survival after all. Orians’ argument suggests the presence of flowers would be a visual clue to future food sources. According to Orians, flowers appear on trees before the tree bears fruit; they are an indicator of fertile soil & might suggest other plants would grow well in the same location. Ancient man also looked for flowers to attract honeybees and birds or for their medicinal qualities. 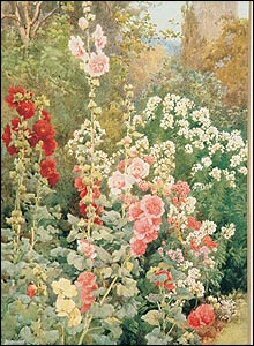 Alfred Parsons, successful artist and the President of the Royal Watercolour Society, focused mainly on floral scenes and landscapes and in fact Parsons later became a garden designer. Because of their importance in human survival, the sight of flowers produces a positive emotional response to this day. That may explain why people traditionally bring them to hospitals and funerals; display them at weddings; feature them on greeting cards and offer them as ‘tokens of apology’. Flowers serve to calm and soothe us during highly emotional events. “This is too cold and clinical to explain my passion for art!” you may be thinking. Could my love of color, line and form be boiled down to chromosomes? It cannot be that simple… can it? Today, we may safely observe works of art in galleries, museums or even critiques with no concern for our immediate survival. 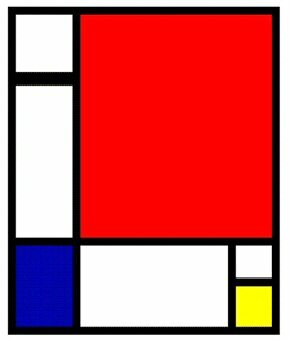 We may use lofty terms to describe an art quilt’s fine qualities or be able to identify DaVinci’s “Divine Proportion” in an abstract painting. We have many forums to discuss art, review exhibitions or analyze a particular artist’s motivations and influences. Yet no words can truly capture our visceral reaction to great art. We humans created art and artifacts before we invented the wheel, maps, written language or calendars. It makes sense that our response to the visual world goes as far back as the moment of self-awareness, to our most primal selves. The emotions that are stirred up when viewing these works are as personal and complicated as our DNA. To make sense of it all, we may have to simply rely on our instincts. The Ethological Command in Art (abstract), by Richard G. Coss / Note: you may get a message like “you are not authorized to view this article”. Just scroll down to read an abstract of the contents. The Adapted Mind, Barkow, Cosmides and Tooby, Oxford: Oxford University Press, 1992) / Scroll down to Section VI: Environmental Aesthetics to read a summary of Evolved Responses to Landscapes by Orians & Heerwagen. Thank you both for your comments. Catherine, I have to agree with a lot of what you said. And certainly, our DNA cannot explain every person’s preferences. But maybe there are some tendencies that are generally found across most cultures. There was SO much data that I had to cut it down to size. But your comment about the light/dark areas reminded me of something. I had cut out a reference to a study of infants & what kinds of colors & shapes they’re attracted to. These were babies younger than 3 months old, so the assumption is they couldn’t be that influenced by culture or experience. Scientists used to think babies couldn’t see color, only black & white. But it turns out they can see all the colors adults do; but they just don’t find pastels that interesting & prefer images with high contrast (maybe not all but the overwhelming majority of cases). June, I checked out Ramachandran’s paper. Great stuff! I have to say, it makes a lot of sense to me. It was interesting how they “trained” rats to prefer rectangles over squares. Maybe our societies influence us in a similar way. Very interesting reading out there. When I first read this article (a fascinating one, by the way) I came away feeling like some kind space alien. All my aesthetic responses seemed to be out of sync with the norms for my species. 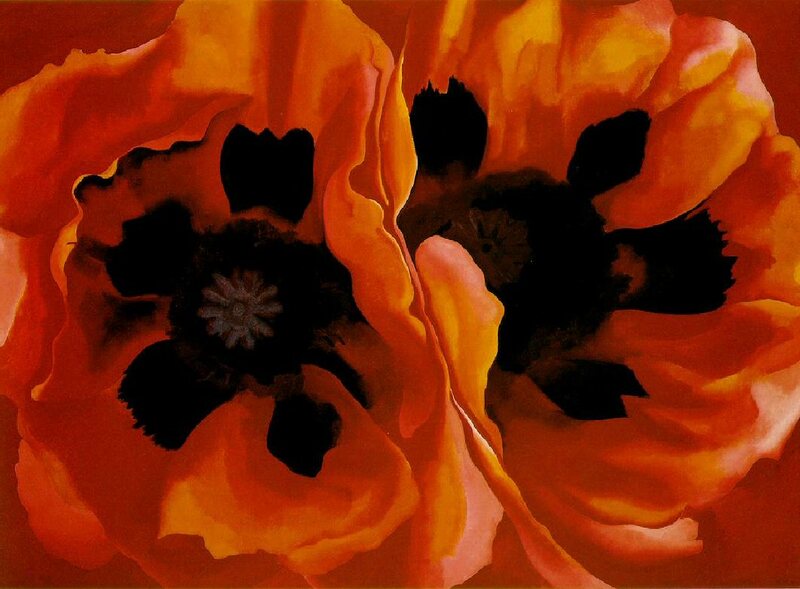 Of the three crowd-pleasing paintings I liked the “Italian Landscape” most (maybe for the light/dark contrast, subtle color, and asymmetrical composition), the O’Keeffe poppies a little (for the bold cropping and the dark centers), and “The Garden” not much at all (its composition seemed muddled and confusing). I don’t mean, of course, that I consciously thought about composition, etc. in the instant of reacting; that’s analysis I’m doing after the fact. All three pictures are painted with obvious skill, all show seemingly pleasant subjects, and yet they don’t especially appeal to me. Something intervenes between the expected response – the one supposedly encoded in our DNA – and the feelings I actually have. Contributors to that book, according to that introduction, mostly assume that the human mind produced by evolution is “adapted to the way of life of Pleistocene hunter-gatherers, and not necessarily to our modern circumstances.” In modern circumstances, our survival and reproduction may depend more on reading culturally specific cues (e.g., figuring out what to wear to a particular job interview or decoding political messages in a boss’s choice of wall decorations) than on identifying poisonous spiders and snakes. People who look at a lot of paintings may find it hard to see a painting without at the same time seeing pieces of art history – terrible battles fought over choices of color, cropping of scenes, the use of line and shadow. Art, in societies where matters at all, tends to create opinions and bands of partisans. 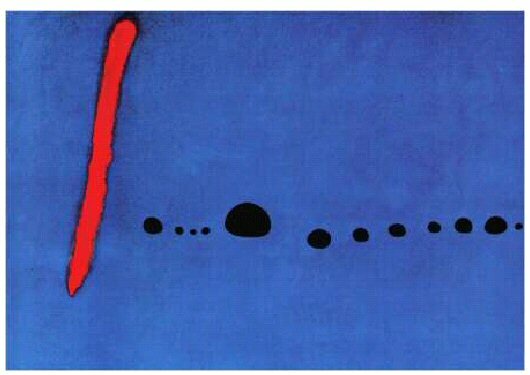 Loyalties to an art movement, a subculture, a way of looking at art can outweigh love of symmetry or any other such prompting of the Pleistocene brain. And, I think, we can have such loyalties without being consciously aware of them. At least that’s how I explain to myself liking flowers but feeling vaguely threatened by the Alfred Parsons painting. There’s something frightening to me in the Victorian separation of soft pretty things from hard grim things, women’s virtues from men’s virtues, flowers from steam engines, and flower gardens from mill towns. Also, I had an uneasy sense that Alfred Parsons might be turning his back on the work of other English painters of his time and wondered what lay behind this rejection. I couldn’t think off hand who these painters were, but then came across Millais’ picture “Ophelia – see http://www.victorianweb.org/painting/millais/paintings/4.html – which is full of carefully painted vegetation that I loved. I guess it bothered me that none of Millais’ darkness (literal darkness and the darkness of his subject) found its way into Parsons’ garden. Somehow all this cultural baggage got in the way of the innate hunter-gatherer response to beautiful flowers. Thanks to Kate for making me think. Melanie, on Art and Perception, linked to this pdf essay which lays out some categories as you have here. Mr. Ramachandran says that “90% of art of the variance seen in art is driven by cultural diversity” but it’s the other 10% that he’s interested in — the part that is universal, not driven by culture or the auctioneers’ hammers. He has what he calls an arbitrary set of 10 laws of art that cut across cultural boundaries. You’ll have to read the article to find out what they are and whether you agree with them, but the whole subject is fascinating. I think your description of our bouncing between desiring the new and exciting and wanting the familiar and comfortable feels just right; some days one, some the other. In general our current culture, perhaps because we are saturated with images, values the new and exciting. 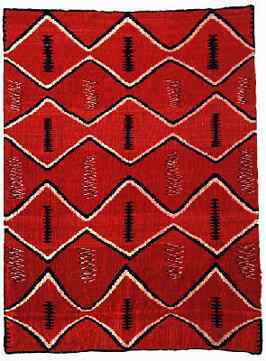 But perhaps the textile arts speak to the other side of our natures; even when they use zigzags and diagonals, they are still tactile and warm.